Developed by Camerons of Tasmania over our 30+ years in the industry, we are proud to be the parent and thus sole Australian supplier of "The Golden Oyster™" a highly developed Cameron's breed of gold shelled oyster. Avaliable in mature stock only, this product provides a touch of class not available anywhere else. Our product is marketed based on our belief in quality, availablity on demand and extremely competitive prices. At Cameron's our quality starts with our spat. We have four main spat sale sizes which are graded on a 4000, 5000, 6000 or 8000 micron mesh screen. Unlike other hatcheries, Cameron's vertically intergrated nature (which includes both sub-tidal and inter-tidal on growing facilities) allows Camerons to produce quality seed and personally witness it's lifespan. 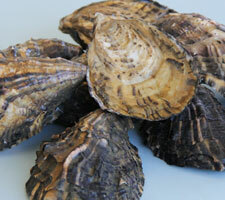 As a result Cameron's has the raw data and practical experience to select and breed only the highest quality Oyster seed. Cameron of Tasmania supply a considerable percentage of Tasmanian and South Australian farms. lots – 'Buffet' sized (also known as plates). 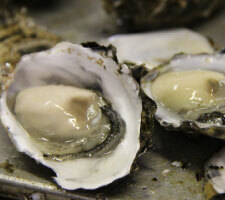 The oysters are packed 10 dozen to a carton. Our Frozen line also extends to 'Standerd' size, with 8 dozen per carton, we sell them by the 864 dozen pallet. The quality of Camerons frozen line is randomly tested, based on appearance, texture, taste and smell. 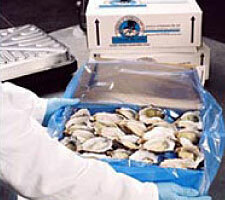 Fresh 1/2 shell oysters are available in polystyrene packs in multiples of 10 or 20 dozen. 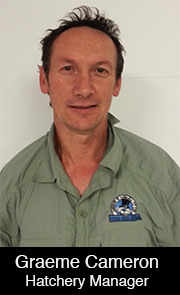 Camerons uses a variety of farming techniques including both sub-tidal and inter-tidal leases. 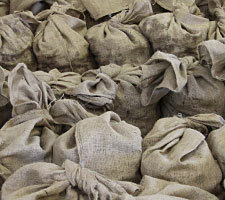 Our live in the shell oysters are graded and packed on site at either our EagleHawk Neck or Blackmans Bay facility. 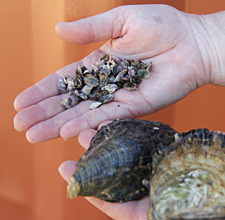 Whole Live Oysters are sold in freight efficient quantities. 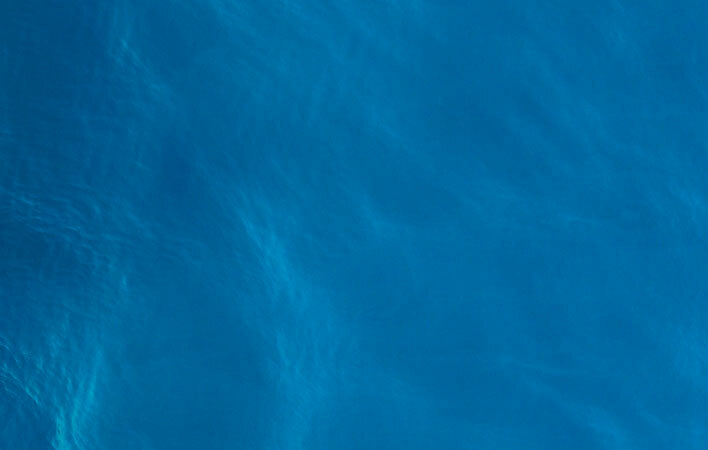 Please contact us to discuss your needs.